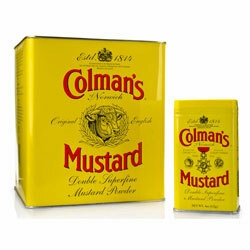 Colman's English Mustard 'Powder' is available in 113g and 2kg tins. "Dear Spices of India, We just got our order by the name of my husband (Naveed Iqbal). We are really satisfied by ur post and wonderful packing. It was our first time and we will keep buying things from this website."